Osteoarthritis is commonly associated with elderly humans but it is also relatively common in pets, particularly as they age. It is a chronic, degenerative joint disease that makes movement difficult and painful. Though it is more common in cats and dogs aged 6 and upwards, younger animals can also be affected. Studies suggest that up to 20% of dogs may suffer from it, and though they are less prone, cats get it too. There is no cure for osteoarthritis. If treated promptly, you’ll be easing your pet’s pain and increasing his or her mobility. If you notice any of these signs or symptoms, please don’t simply put them down to ‘old age’. Your pet is in pain and needs help. Take him or her to your vet immediately. The sooner osteoarthritis is first diagnosed and treated, the better your pet’s quality of life will be. Weight control: controlling your pet’s weight will lighten the load on arthritic joints and make it less difficult to move. Ask your vet or EberVet Vetshop for advice. Exercise: daily, moderate amounts of low-impact exercise strengthens the muscles that support joints and improve mobility. But please discuss your pet’s exercise routine with your vet. 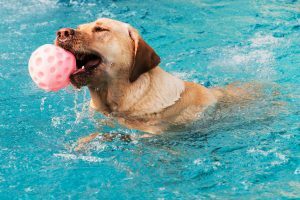 Dogs will benefit from walking and swimming; cats from play that keeps them moving without excessive jumping. Anti-inflammatories: these drugs combat inflammation in the joints thus relieving pain and therefore increasing mobility. This also protects the joint from further damage. Newer anti-inflammatories have fewer side effects – including the gastrointestinal problems usually associated with them. Your vet will prescribe the right drugs for your pet. In addition to the above, your vet may prescribe physical therapy, hot or cold packs and baths, massage or acupuncture as well as glucosamine and chondroitin to help control pain. In extreme cases, surgery may be recommended. 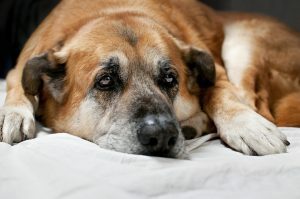 There is no reason why, with your loving attention and committed care, as well as your veterinarian’s guidance, your osteoarthritic pet cannot have a happy, healthy and comfortable life for many years to come. The disease may progress very slowly or very quickly; it all depends on your pet’s age and activity level, the joints and the underlying cause. Some pets’ pain and loss of mobility can be kept to a minimum for long periods with a simple regimen of weight control, moderate, regular exercise and the occasional use of anti-inflammatories if flare ups occur. For others, severe damage to the joints may occur rapidly and require long-term medication and other therapy.